Shoppers around the world are bent on finding out what they’re putting on their bodies. They are scanning everything from lipstick to skin cream. Paris: Top model and Kardashian half-sister Kendall Jenner has been known to tout Estee Lauder’s Drop Dead Red shade of lipstick. The beauty industry takes a dim view of the apps, arguing that they provide a distorted and alarmist picture of their products. Estee Lauder Inc., Clarins Group, Procter & Gamble Co. and L’Oreal SA all say their products have been tested, are safe and comply with regulations. Not so long ago, consumers concerned about the potential for cancerogenic or irritating ingredients in their beauty routine had to memorize long lists of unpronounceable compounds and squint at labels. The extra effort to verify the makeup of toothpaste or shampoo meant that this remained a niche pursuit for obsessives; most shoppers were willing to trust the product manufacturer. Think Dirty and its ilk have made the process as easy as scanning a label. The apps are free but say they’re starting to monetize their services by consulting for brands and charging those that comply with their standards for an official seal of approval. Cosmetics companies have spent decades ginning up new chemicals in an effort to create alluring slippery-smooth conditioners and soaps that smell like a Tahitian waterfall. And while the industry spends millions to verify product safety and says it hews to government regulations, some shoppers feel the standards are insufficiently strict. The mistrust has only grown as companies race to add—and advertise—natural ingredients without bothering to remove ones considered toxic. L’Oreal, which was founded by a chemist and sells dozens of popular brands from Armani perfume to Garnier shampoo, has struggled to maintain growth in the U.S. even as “clean” beauty startups race ahead. The company has responded by launching its first organic, plant-based hair dye and by expanding its Garnier Whole Blends line, whose “nature-inspired” shampoos feature pictures of avocados, papayas and berries. But the products still include chemical compounds clean-beauty adherents consider potentially toxic, such as benzyl salicylate and phenoxyethanol, which some believe cause allergies and disrupt hormones. Last month Bloomberg went on a Paris shopping expedition armed with the Yuka app. Products touting natural formulations with oatmeal and honey surprisingly failed to pass muster. “Matte Moisturizer” from the naturally marketed skincare and makeup brand Origins, which is owned by Estee Lauder, flashed a “Bad” rating and a bright red dot because of its titanium dioxide coloring, which the app says can cause cancer. A moisturizer from high-end Clarins got a 0 out of 100 score because it contained synthetic mineral oils—which some people suspect cause cancer—while P&G’s Old Spice deodorant, a drugstore staple with a tangy chemical smell, earned a green light for the absence of aluminum salts. Clarins Chairman Christian Courtin-Clarins warns that scanning app results can be inconsistent and scientifically unfounded. “It’s like every app is coming up with their own ingredient to ban,” he said in an emailed response to questions. The app makers say they rely on scientific studies for much of their information. For example, several use CosIng, the same European database cosmetics brands use to show whether ingredients are allowed or banned, and under what conditions (maximum concentration for instance). In some cases, apps cite scientific reports, such as one issued in September by Breast Cancer Prevention Partners that flagged a number of common ingredients linked to cancer, hormonal dysfunction or harm to the reproductive system. 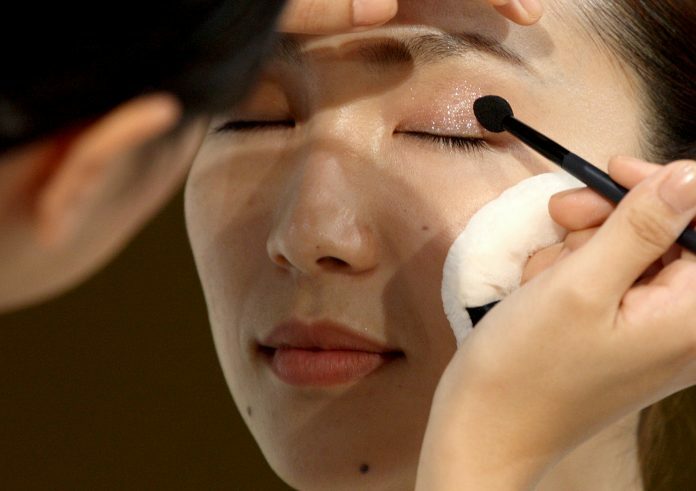 Beauty giants say the reality is much more complicated than the apps make it out to be. For instance, some ingredients are dangerous if ingested but not if they stay outside the body. Others are harmless in tiny quantities but questionable in bigger doses—though it’s hard to gauge how much exposure you’re getting from a morning routine that includes multiple products from toothpaste and shower gel to deodorant and face cream. The challenges to long-time players like L’Oreal and Estee Lauder are an opportunity for upstarts to swoop in with their own “clean” brands. Canada’s Purelygreat makes natural deodorant, while France’s Aroma-Zone, which started out by selling essential oils online, has expanded into physical stores and now makes its own products. Then there’s Gwyneth Paltrow’s Goop. While the media-wellness company has been widely criticized (and successfully sued) for unverified scientific claims, it has had no trouble selling $100 face oils and $185 “glow kits” free of petroleum, pesticides, parabens, sulfates and gluten for the past couple of years.